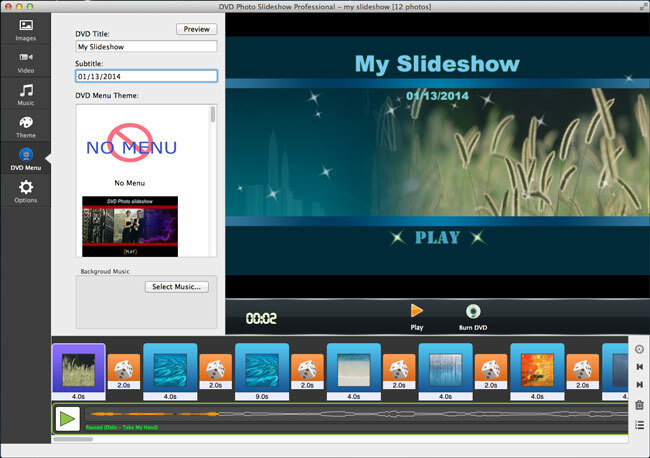 Follow the steps below to start burning videos to DVD using DVD Photo Slideshow. 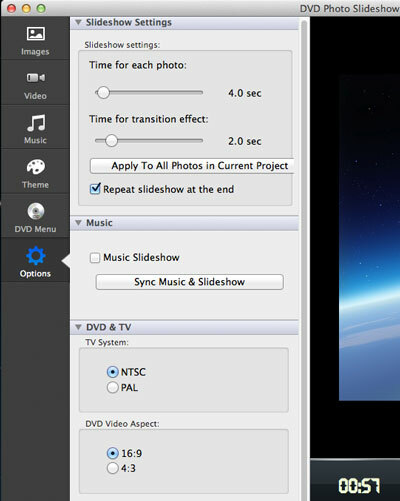 DVD Photo Slideshow is fully compatible with Mac OS X 10.7 Lion, 10.8 Mountain Lion and 10.9 Mavericks. Download and install DVD Photo Slideshow onto your Mac. Then run the software application. Go to the DVD Menu tab, and you can set DVD title and subtitle, pick a DVD menu theme, and select menu background music for your DVD. If you want to burn videos to DVD without menu, you should select "NO MENU". 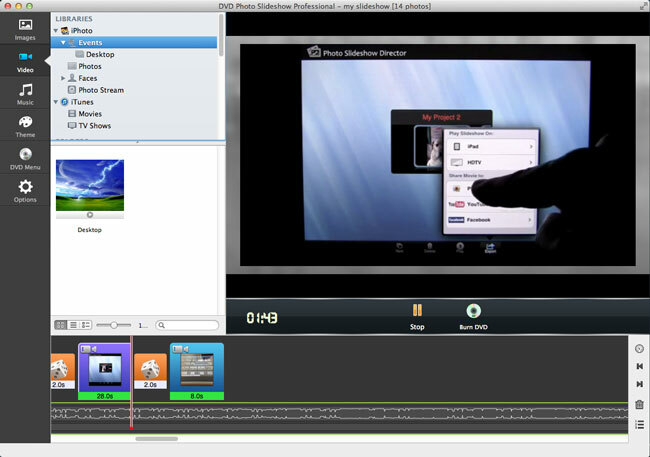 To burn videos to DVD, click menu Share and choose Burn DVD or click the Burn DVD button in the preview window. You can make some burning settings in the Burn Disc window. 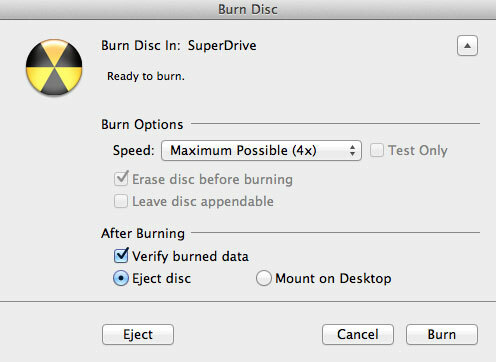 Click the Burn button to start burning videos to DVD.